Most consumer product companies use retail stores to get their products in front of customers. It’s a model that has worked for years and, no doubt, still works today. But changes in consumption patterns and technology availability raise new challenges for such brands. Buying decisions are no longer driven by price alone, shopping experience expectations are on the rise, and infrastructure is now available that can enable any brand to grow faster and with lower costs than before. Direct-to-consumer selling is becoming an increasingly successful strategy among brands. What do brands stand to gain from selling directly to consumers? The direct-to-consumer (DTC) model is seeing adoption among established brands (such as Nike, which predicts their DTC sales to grow to $16B in 2020) but a large number of emerging companies are skipping the retail stage altogether (The Honest Company is one example). That’s because direct to consumer improves cost efficiency by cutting out the middlemen and creates opportunities for a better, more engaging, direct brand interaction. Also, in a data-driven culture, the traditional retail model can fall short of providing brands the product and customer insight that are crucial for creating personalized, relevant experiences. Direct-to-consumer brands can leverage a wide range of platforms to launch and grow their businesses almost exclusively online. The diversity of ecommerce software tools combined with the power of social media channels makes it easier and more efficient to manage the customer experience at every step of the journey. 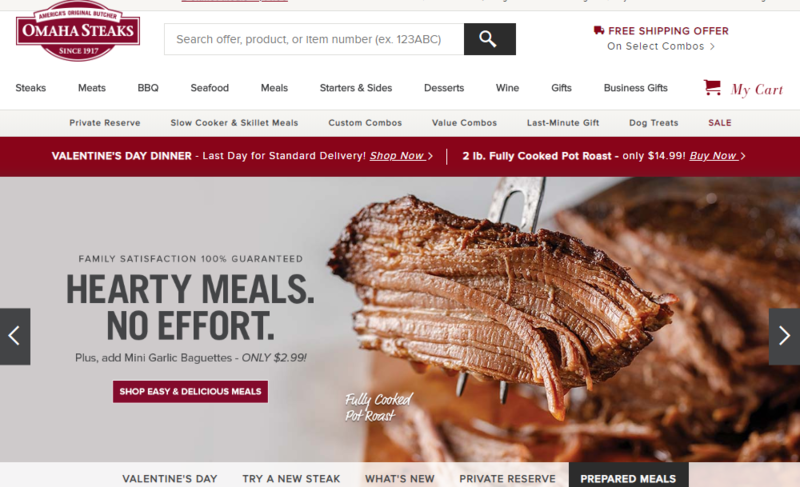 Some brands have thrived by launching online-only stores, like Bonobos, but traditional physical store brands - for example Omaha Steaks - are quickly following suit. Eliminating the intermediary retail step enables DTC brands to increase their e-commerce revenues by reducing costs and spending more time understanding and personalizing the customer experience at scale, as Nike does. Moving to a DTC model is not always easy but companies that haven’t found success in their direct-to-consumer approach - like alcohol drinks brand Diageo - still consider e-commerce to be an important part of their strategy. One challenge for brands that expand into direct-to-consumer e-commerce is that they need to build an understanding of what motivates and inspires consumers in their buying journey. A direct-to-consumer strategy requires brands to go the extra length to create a seamless shopping experience and a customer journey that is relevant at all stages. What role does content play in building an exceptional customer experience? Content and, more specifically, reaching customers through relevant interactions across touchpoints, is critical in building a great brand experience, and it is the number one strategic priority for 45% of companies according to Econsultancy’s Digital Trends 2018 report. Each brand interaction - whether it takes place in the web shop, on the brand website, or on social channels - influences customer engagement with the brand. Successful DTC companies create and leverage content that goes beyond selling to inform, educate, and inspire customers. L’Oreal’s Beauty Squad initiative is one great example. 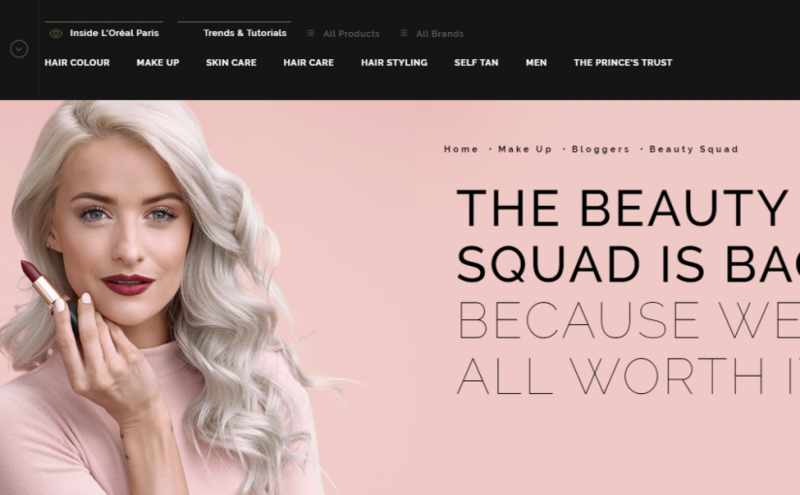 The company teamed up with influential bloggers to create beauty videos, articles, tips and trends that drive customer engagement on their website and social platforms (primarily Instagram and YouTube). But not all brands manage to turn their content marketing initiatives into such successes. Mostly because content is often created for and used on a single platform or in one-off campaigns. Many companies fail to turn such dormant content into opportunities for customer engagement. Brands with owned e-commerce stores have a unique opportunity to leverage their brand equity. When consumers visit brand websites or channels, they are in search for news or inspiration, and they likely have a strong affinity with that brand. This creates an opportunity for brands to increase traffic to their e-commerce stores which they can then convert into paid customers. Making use of high value content that inspires consumers is a simple way for brands to increase sales on their direct channel. Customer insight is perhaps the biggest asset for a DTC brand. The ability to capture customer data allows brands to get the right content to the right customer, at the right time. According to Marketingprofs, personalized experiences online can reflect in 19% more sales, and, according to Epsilon research, 80% of consumers are more likely to do business with a company that provides a personalized experience. Successful direct-to-consumer strategies are built on insight into how customers engage with the brand and how they interact with content at every step of the journey. Advanced artificial intelligence and machine learning technology available today gives DTC brands more control over customer intelligence at scale, speed, and lower costs. Cadbury’s personalized video campaign (where they generated a personalized video using user’s own content) spoke to customers’ personal preferences and resulted in a 65% click-through rate and a 33.6% conversation rate. Cosmetics brand Benefit’s Browmobile campaign involving an online competition with a chance to win a visit from the Browmobile generated more than 60,000 unique visitors to the campaign page. Numerous other examples exist of direct-to-consumer success, and they just go to show that if brands want to stay ahead of the competition and win customer loyalty they have to be driven by data, focused on content value, and motivated by customer satisfaction.